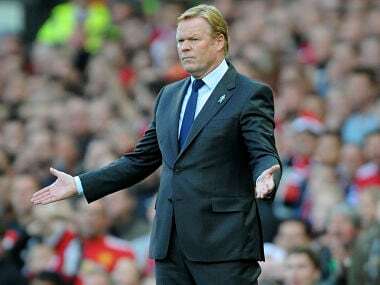 London: Everton manager Ronald Koeman is hoping a run of four home games starting with Wednesday's League Cup tie against Sunderland will help his side arrest an alarming run of defeats. 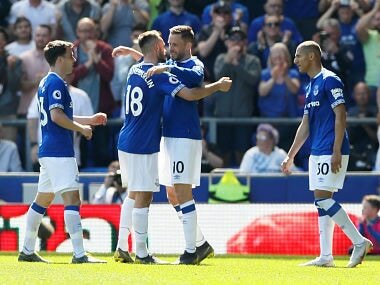 The Toffees have played five of their past six matches away from home -- including fixtures at both table-topping Manchester clubs and defending champions Chelsea -- and have not won since 17 August. 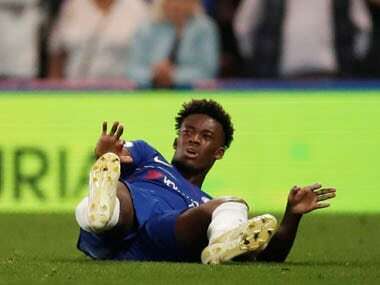 However, they now face a run of four successive matches at Goodison Park and Koeman admits they need to take advantage to dampen talks of a crisis, with the club languishing 18th in the Premier League. 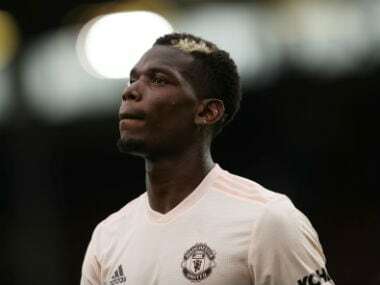 The Black Cats, 21st in the Sky Bet Championship and with just one win in seven games themselves, present the ideal opportunity after Sunday's chastening 4-0 defeat at Old Trafford. "We need to analyse the game but it is important to take the positives from Sunday and prepare ourselves for Wednesday," said Koeman. "We now play four times in a row at home in different competitions. We need a feeling for a win and that will give the best confidence to the players." Everton have not scored in 404 minutes of football, while conceding 12 in that time. Koeman is likely to shuffle his options up front, which may see Wayne Rooney rested, with summer signing Sandro Ramirez still searching for his first goal since joining from Malaga. Youngsters Dominic Calvert-Lewin and Ademola Lookman could also be involved as Koeman looks to freshen things up in an attempt to find a breakthrough to relieve some of the building pressure. Midfielder Gylfi Sigurdsson is confident now their run of tough fixtures is over the players can start to turn things around. "We are going to have to stay together and be positive and just keep working," he told evertontv. "A lot of us have been in this position before where things are not going your way. "It does not look too good at the moment, but I know we are more than good enough to turn this around."